Have an extra $200? 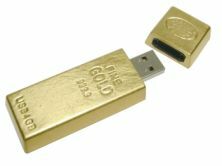 You could spend it on a 4GB flash drive that's designed to look like a gold ingot. That's only gold leaf, by the way. A BBC reporter went to a prototyping lab in London -- and made a 3-D replica of his face. 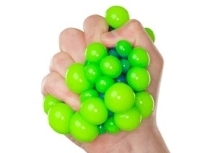 Nothing beats stress like squeezing a bubbly pustule made to resemble an infectious disease. Jello Made from Human Genes — What Will Vegans Do? Researchers in Beijing have discovered how to create jello without using cows. Instead, they've created gelatin by using human products. Len Komanac might have actually done the impossible -- create an original, never-been-done piece of Star Wars art. Now, you can show off your geek-affinities with a snazzy new computer mouse belt buckle. Does this mean that being a computer geek is no longer un-cool? The final shuttle mission for NASA includes an experiment that will turn human urine into a sports drink for astronauts. Now, you can buy a stylus for your iPad that looks like a Crayola marker. Why? 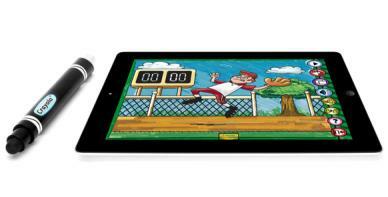 So that you can turn your $800 gadget into a coloring pad for your kids. 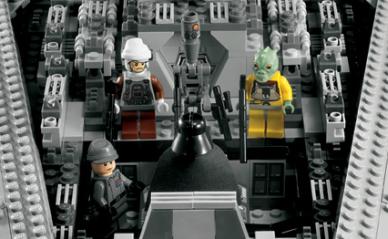 Want to conquer a galaxy? This 50 inch Lego replica of a Super Star Destroyer may make you the envy of Star Wars fans everywhere, but it'll set you back around $400. 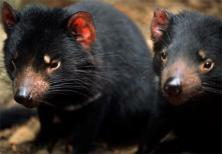 You probably didn't know that Tasmanian Devils are at risk for becoming extinct. Now, researchers are attempting to use new research in DNA sequencing as a last-ditch effort to save the species.